Use on steak, lamb or chicken to make a Thai salad or other Thai-inspired entree. 1. Measure all ingredients into a gallon-sized sealable bag. 2. Seal bag and shake to incorporate ingredients. 3. Add your cut of meat or poultry, get as much air as possible out of the bag, and seal. 4. 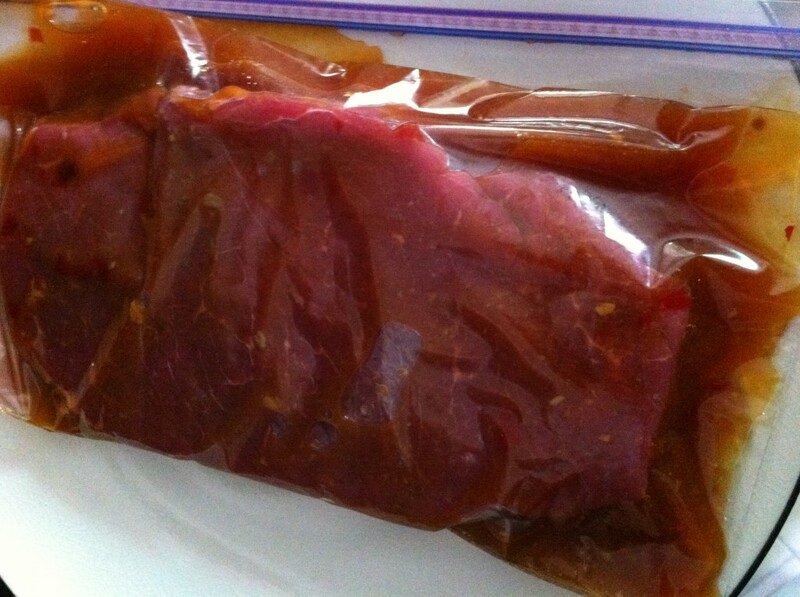 Squish the marinade around in the bag to make sure the meat is coated. 5. Place on a plate and refrigerate for 4 hours to overnight. More tender cuts, poultry and seafood could marinate for an hour. This entry was posted in sparkles, sustenance+sustainability and tagged dinner, gluten-free on 12 June 2012 by cheryl.